These couples were the voice of experience, having been married for an average of 30 years. They had all created exemplary relationships in the many different forms that great relationships can take. We expected that people who felt really happy and fulfilled wouldn’t have many differences and would have very infrequent conflict. It turns out happy doesn’t necessarily mean tranquil. Many of the “happy” couples were quite opinionated and could be volatile at times. Although it was true that overall there wasn’t much conflict, there were profound differences. 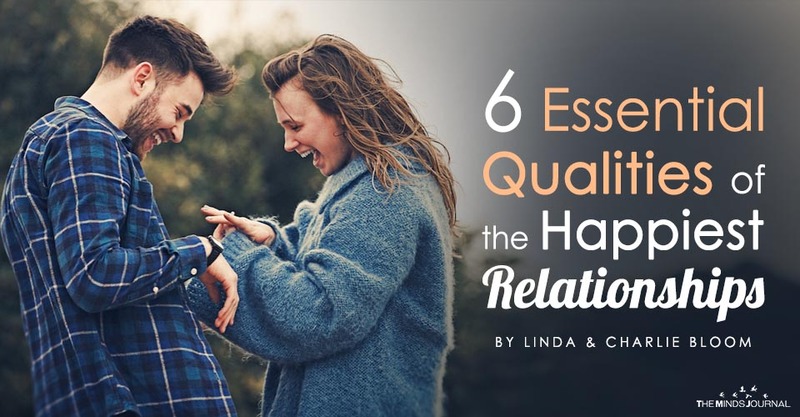 What distinguished these couples was that they were able to relate to those differences with appreciation and gratitude, rather than merely tolerating them or judging and being resistant. They believed their differences added something rich to their relationship. Yet it was impossible not to notice that there were several themes that ran through nearly all of these relationships. This has to do with the recognition that the happier my partner is, the happier I’m going to be. While this notion represents a belief that most people would agree with, few couples actually live in accordance with it. Many couples are primarily motivated by the impulse to pursue their own desires, even at the risk of causing distress or a sense of loss to their partner. Nearly all of the couples with whom we spoke claimed to experience a sense of pleasure and even delight in bringing greater fulfillment into the life of their partner and did not feel that they were sacrificing anything in the process of doing so. On the contrary, they claimed that the discovery of new ways to bring more happiness into their partner’s life was one of their greatest joys. The couples with whom we spoke, practically without exception, had an extreme intolerance to the accumulation of withheld resentments and consistently dealt with upsets and disappointments swiftly and effectively whenever they arose in the marriage. While it is natural and common for most people to become defensive and blaming when they find themselves in a situation which involves feelings of disappointment, frustration, anger or hurt, most of these couples were very willing to consider their part in the creation of the circumstances that led to the breakdown and could acknowledge their responsibility with a minimum of defensiveness. While there might often be an initial impulse to defend their position or actions, the amount of time that they would spend in a defensive mode was very brief, compared to most couples, before they became willing to recognize and acknowledge how they might have contributed to the situation. While most of us value honesty as a trait that is essential to the good character, it is all too easy to rationalize, justify, or excuse more subtle forms of dishonesty, such as white lies, justifications, or exaggerations. Most of these couples were not only scrupulously honest with each other but also were conscientious about expressing their thoughts and feelings in ways that were sensitive to their partner and rarely communicated their experiences in ways that could be characterized as being “brutally honest.” This combination of consistent honesty with high-level sensitivity led to a deep level of trust and respect in the marriage.